Every hand plane in action has a different feel to it for reasons I cannot entirely tell not being of a technical bent of mind. It is therefore most satisfying to get a new plane, hone its blade, adjust it and put it to work. The magic is apparent in the first few strokes; some will stutter, or chatter, some will dig in while others will slice through unhesitatingly in one glorious movement from beginning to end. At the cost of being immodest I can boast of possessing some of finest planes a man could wish for. Among them will be a #5 ½ "Jack" plane made by the New Delhi-based company Shobha Industries. 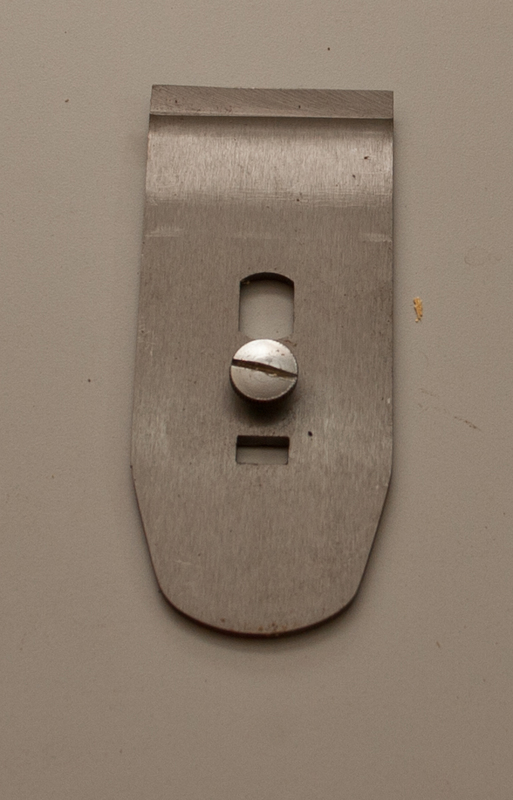 I suppose the ½ in the Stanley style numbering system suggests a wider than the standard 2 inch blade width. Thus a #4 ½ will have a 2 3/8th inch blade while the #4 will have a 2 inch wide blade; the same logic seems to apply to the Jacks. I am most fond of this Indian company because they have the desire to innovate and improve, qualities sadly lacking in many of their esteemed counterparts. Constant improvements not just in the design and machining of a tool but also in production processes as well as attention to detail are crucial for the production of quality tools such as those made in some of the finest tool rooms of Japan and the United States. In the past I had reason to be disappointed by two #4 ½ smoothing planes I had purchased from Shobha Industries. They were well made but had a few extremely annoying flaws. One was the position of the lever cap which was too low causing shavings to jam at the mouth after a few strokes. The opening for the lever tightening knob was inconsistent from plane to plane. The second was a persistent problem with the cap iron. 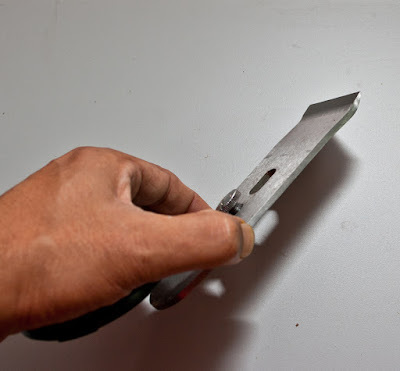 The angle of the end that contacted the blade was incorrect and it had to be ground or abraded to a correct angle to prevent shavings from jamming. This was a problem with all Shobha planes. I also found the blade had too much lateral play and required much adjustment if not inserted just right. There was also a problem with the blade adjustment nut which made it difficult to adjust the depth of cut. In all I was most unhappy with these two planes and regretted buying them. I was therefore delighted to find that all of these flaws had been attended to in the latest Shobha #5½. The satisfaction was compounded by the fact that this plane, unlike all the other ones I have reviewed in the past, came gratis! I tuned and used the plane to see how it would function. I am happy to say I was extremely impressed. This is a good looking plane with nicely ground metal sides and black matt powder coated insides which is much nicer than the shiny black enamel of most other planes. The tote and the knob in front of the plane are made with attractive rosewood and well-polished. 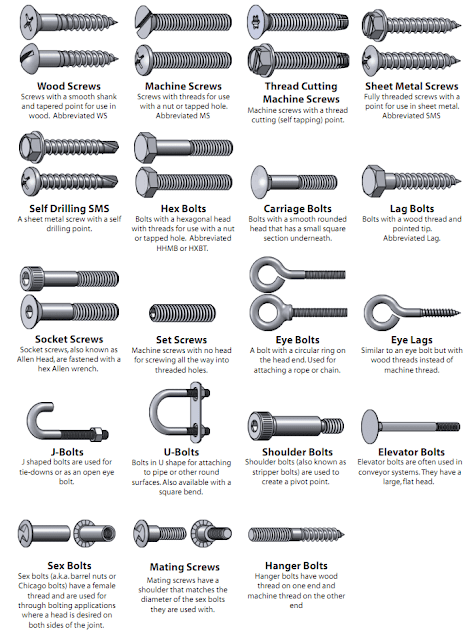 The lever cap bolt and blade adjustment nut are brass and all metal surfaces have been ground to a very high standard. I was relieved as well as glad to discover that the blade once inserted in the body of the plane sat quite square and required little or no fiddling for a perfect lateral fit. This makes setting up the plane so much easier after every blade change. A major innovation in this new plane is the cap iron design. The cap iron remains curved at the lower outside but is completely different at the point where it contacts the blade. The inside edge has been flattened and widened in a manner that ensures there is no gap between the cap iron and the blade. This design with a thicker cap iron would also tend to lessen blade chatter. The sole is of course perfectly flat, this being one area where Shobha have always excelled. Another significant improvement is the reduced play in the depth adjustment nut; fewer turns are required to raise or lower the blade. The #5½ with its 2 3/8 inch wide blade is however significantly heavier than its 2 inch wide cousin the #5. I personally prefer the heft of the heavier #5½ but many could find it fatiguing. Having got used to the wider and heavier planes, I find the higher momentum generated preferable when working with hard wood. 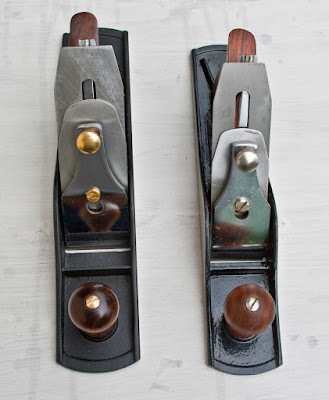 The plane is no different in design from the millions of Stanley type metal planes all over the world except for the cap iron. 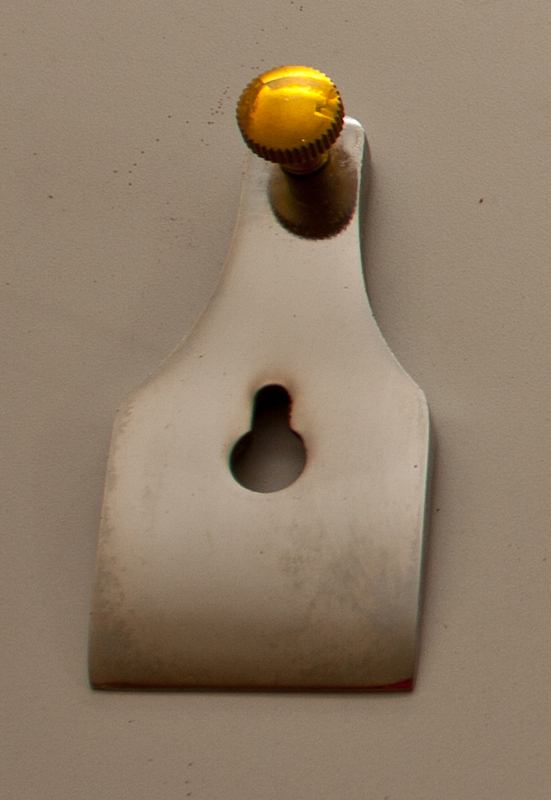 What makes the Shobha #5½ a superlative tool is not any great innovation but attention to detail. With this plane Shobha Industries clearly have produced a world class product. I would highly recommend this plane to woodworkers in India. Most woodworkers here appear to select a standard #4 smoothing plane as their first bench plane. I too did the same, perhaps because the #4 is the cheapest and most widely available. However, it is the #5 "Jack" plane that should be the first hand plane acquisition. This is so because the Jack plane is extremely versatile: it can be used to level uneven surfaces, joint edges and smooth. A #4 or "smoothing" plane, on the other hand, as its name implies is chiefly for smoothing an already flat surface. The shorter length of the smoothing plane's sole renders it unsuitable for either jointing or flattening. 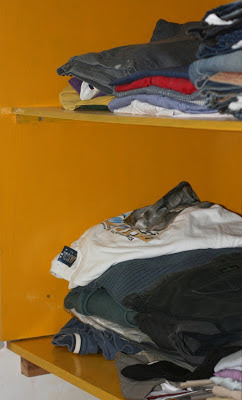 The #4 is generally 9 inches or so long whereas the #5 is about 14 inches long, making it more than 50 per cent longer. The Jack plane has a much longer sole and is perfect for flattening uneven surfaces and can often be substituted for the much longer and heavier jointer plane (22 inches). Now with a superb Shobha #5 ½ available there is added reason to possess a Jack plane. 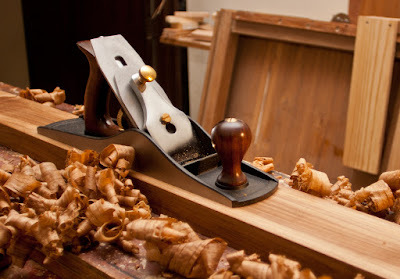 Do you have the item no of this #5 1/2 jack plane? I tried to search for it on their site, but could not find it. I am planning to pick up this plane and a block plane from them along with a few other stuff. I will try and see if I can get a wooden plane like the one you got from Ali here in Pune. I love reading your blog and really appreciate all the effort you put into maintaining this blog. Biju, the #5 1/2 Jack plane is not listed on the Shobha Industries web site. I do not know the part no either. Best to call them and ask for it. Thank you Indranil. I did call them up. They told me that it is 18 inches long with 2-3/8" blade. Will you be able to check the length of your #5 1/2 jack plane and tell me if it is 18 inches long. Hi, Mr. Banerjie. As an aspiring woodworker residing in New Delhi, I am pleased to see that someone has taken so much time out to lay the ground work and ease this pursuit for the rest of us. I'm even more pleased to have found out about Shobha Industries, knowing that we have a homegrown manufacturer of what would appear to be high quality hand tools and measuring instruments. Now I want to go out and collect all their tools! I've since managed to get my hands on their chisels (I bought the 4 chisel set), and they are superb! They didn't require any profiling and came rather sharp and flat out of the (nice) box. They are far superior to anything else I've found on the market - A must-have for any Indian woodworker. I hope to acquire tools of theirs in every category but they seem pretty hard to come by. I've just sent them an inquiry and now waiting for a response. Varun, glad you found the information useful. Always happy to share. I am sure you will enjoy collecting new tools and discovering woodworking. Best wishes.